Fluoridex Sensitivity Relief Toothpaste 4oz. Made in Florence. 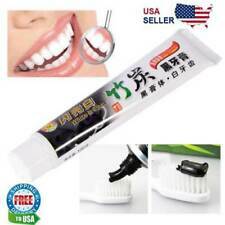 Prevents tooth decay, fights tartar and plaque. Grooming Tip Enjoy the freshness of Marvis on the go! Ingredients Aquatic - Glycerin,Aluminium hydroxide, aqua (water/eau), silica, aroma (flavour), cellulose gum, titanium dioxide, sodium lauryl sulfate,sodium saccharin, sodium citrate,citric acid,hydroxycitronellal, farnesol, benzyl alcohol. MI Paste Plus ist auch für die häusliche Anwendung indiziert, vorzugsweise am Abend, wobei es einfach mit dem Finger oder mit Hilfe spezieller individueller Löffel aufgetragen wird. Um optimale Resultate zu erreichen, verwenden klassische Fluridhaltige Produkte Calcium-und Phosphationen, die in niedriger Konzentration in Speichel und Plaque vorhanden sind, zur Bildung von Fluorapatit. 24/7 Sensitivity protection. Clinically proven relief. Gentle formula, specially formulated for sensitive teeth. With regular brushing provides: whiter teeth, fresher breath. Brush with Colgate® Sensitive Whitening twice daily Contains Potassium Nitrate, clinically proven to soothe the nerves in exposed dentin. Flouride Toothpaste. 24 x 125ml. Fights Decay To Help Protect Teeth. Removes Stains Whilst Being Gentle To Teeth. Put Denivit on its cap after use. Whitening Efficacy Clinically Proven. 2 x More Effective Stain Removal. For adult use only. Children's Toothpaste. Silly Strawberry Flavour. Tom's of Maine. 4.2oz & 1oz. Clinical research indicates that odor-causing bacteria on the tongue is the #1 cause of bad breath. For years,TUNG™ Gel has been recognized as being thebest way to remove the nasty bacteria that leaves a "tongue gunk" residue on the tongue's surface. Opalescence Whitening Toothpaste Fluoride Cool Mint 133g. 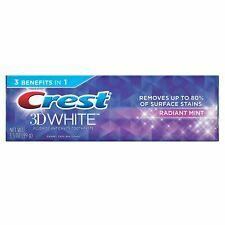 Brighten your smile with Crest 3D White Radiant Mint Whitening Toothpaste. It whitens your teeth by removing up to 80% of surface stains and protects against future stains. Fluoride toothpaste protects against cavities. Brilliant Mint flavor. Adults and children 2 yrs. Do not swallow. To minimize swallowing use a pea-sized amount in children under 6. Supervise children's brushing until good habits are established. Reduce dentine sensitivity. Single Tube ONLY - Strawberry Flavour. Making brushing more brilliant. It’s HERE! Crest’s latest advanced whitening formula available! Designed exclusively by 3D White, Brilliance toothpaste works to enhance your smile’s beauty, using micro-cleansing whiteners to gently polish away surface stains with a freshness that provides a lasting, cooling sensation. I had a discussion with a Dentist who attempted to put fluroride on my daughters' teeth, I refused this. This is a solid toothpaste infused with natural Coconut Oil & spices. A wonderful way to freshen your mouth, clean your teeth effectively with the benefits of beinganti inflammatory & antibacterial neutralising the bacteria that cause tooth decay. This specially designed toothpaste for cavity protection has clove oil in it. It is an essential oil rich in eugenol, which has strong antibacterial properties. The toothpaste also contains pellitory and blackberry. Dabur Neem Herbal Toothpaste - 6 x 100ml Tubes. 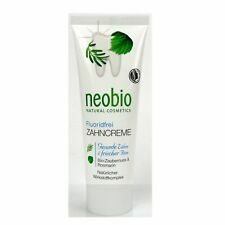 Dabur Neem Toothpaste is Fluoride Free. What is Neem?. The Neem tree is an evergreen tree that is part of the mahogany family and is a common feature of the drier regions of India, Southeast Asia and parts of Africa. Natural ultra fine grain abrasive components contribute to the efficient and careful removal of plaque. The organic extracts taiga cranberries and Mongolian tea provide the prevention of oral diseases. Kingfisher was the first natural toothpaste to receive the important approval of the British Dental Health Foundation. Kingfisher Toothpaste. Fluoride Free. foeniculum vulgare fennel fresh taste. limonene fennel fresh taste. 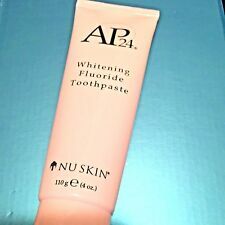 Nu Skin Whitening Fluoride Toothpaste AP 24 NEW ~fresh!! LOOK!! FREE SHIPPING!!! Nu Skin Whitening Fluoride Toothpaste AP24 NEW. fresh new product! Condition is New. Toothpaste Lemon. calcium carbonate, aqua, sorbitol, glycerin, xylitol, hydrated silica, xanthan gum,citrus lemon extract, aroma, sodium lauroyl sulfate, sodium bicarbonate, diazolidinyl urea, citral, limalool, limonene. Working rapidly, it will target teeth staining tannins found in foods like coffee and wine. Using twice daily, apply a pea size amount of charcoal toothpaste to your toothbrush and brush yout teeth for around 2 minutes. White Glo Professional Choice Whitening Toothpaste was originally developed for models and actors who require utmost facial beautification. Fluoride protection against cavities. Low Abrasion - Safe for daily use. This forms fluorapatite mineral to rebuild, strengthen and protect tooth structure. The slow release of fluoride has been identified to be particularly beneficial in prevention of tooth decay. Reduce dentine sensitivity. At Onogo, we strive to move with the world and all of its advances. We are here to help. Toy, Children & Baby. Travel, Sport & Leisure. Health, Beauty & Dental. Headphones & Earphones. REMOVES UP TO 80% OF SURFACE STAINS. FLUORIDE ANTI CAVITY TOOTHPASTE. USA Stocked And Shipped. Beware Of Drop Shippers. Kingfisher Charcoal Naturally Whitening Natural Toothpaste - 100ml (Pack of 3). GC MI PASTE PLUS STRAWBERRY 40G. Halita Zungenreiniger. Typ: Zahnpasta. Marke: Colgate. Alles für den Zahnarzt. Sie sorgt für natürliches Weiss der Zähne und bietet langanhaltende Atemfrische. Der Vertrieb der Pflegeprodukte erfolgt über verschiedene Internetkanäle. Directions : Brush your teeth daily with Tea Tree Toothpaste to maintain good oral hygiene. 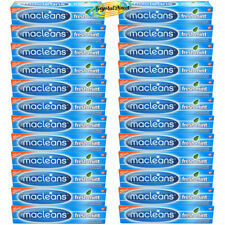 Contains 100% pure Australian Tea Tree Oil, a natural antibacterial agent. Cleans teeth and freshens mouth. Kingfisher was the first natural toothpaste to receive the important approval of the British Dental Health Foundation. Why use Sensodyne Gentle Whitening?. It removes plaque with regular brushing and contains fluoride to prevent decay. Fluoride toothpaste. These factors can make your teeth hypersensitive to heat, cold, sweetness, acidity or just when brushing. Aloe Dent is a breakthrough in the science of oral hygiene. InAloe Dent the water is replaced with soothing Aloe Vera juice, which is combined with a powerful blend of carefully selected natural, active ingredients to create a truly exceptional toothpaste. Nu Colour Lip Plumping Balm Pink Tinge. Band New and Sealed with Box. 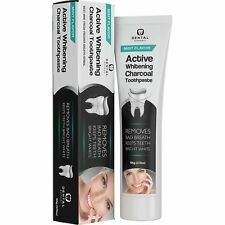 Splat Blackwood Whitening Toothpaste With Activated Charcoal - 75ml. Oxyfresh Super Relief Dental Gel with Oxygene & Fluoride Helps Soothe Gums 4 Oz.